Established in the year 1956, Sparex Pvt. Ltd. has carved a niche for itself as a reputed Manufacturer and Exporter of Automobile Spare Parts, Diesel Engine Spare Parts & Industrial Spare Parts. Connecting Rods are basically and important engine parts which requires to be replace frequently due to improper installation or use of faulty engine parts. 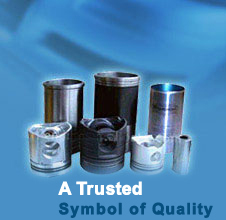 We are the prominent manufacturer and supplier of a comprehensive range of superior quality Piston. Sparex has wide range for Diesel Engine, Couple Set, Pump Set & Generating Set in 5 HP to 12.5 HP Single Cylinder & Double Cylinder. Sparex has also, wide range for Diesel Engine Spare Parts too like Cylinder Block, Cylinder Head, Crankshaft, Crankcase. We are leading names in the field of manufacturing of Rice Huller machines.